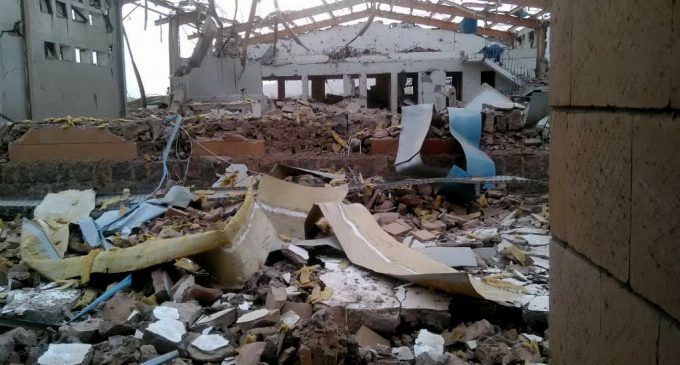 Let me repeat that – the U.S helped bomb A DOCTORS WITHOUT BORDERS CHOLERA TREATMENT FACILITY. 3/ MSF shared the coordinates of this building with the Saudis 12 TIMES since April. Saudis acknowledged receipt of coordinates 9 TIMES. Simply not true that the coalition didn’t know about the cholera facility. 5/ And finally, what did the Saudis THINK THEY WERE BOMBING? The entire compound is used by humanitarian groups! Looks like evidence that the Saudi/UAE/U.S. coalition is still targeting civilian sites. The post How Saudi Arabia Tried to Blame Doctors Without Borders After Bombing Its Cholera Treatment Center appeared first on MintPress News.